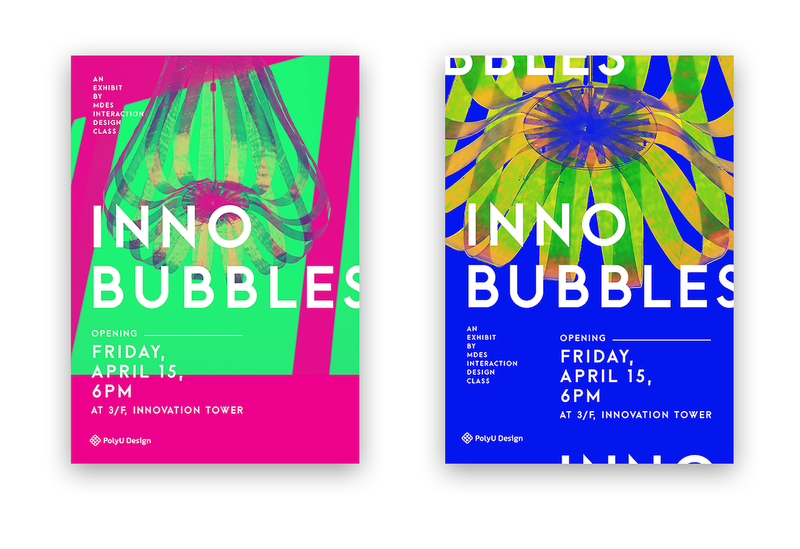 Jockey Club Innovation Tower is the home of Hong Kong PolyU School of Design. Innovation springs out constantly in this building among students and staffs. 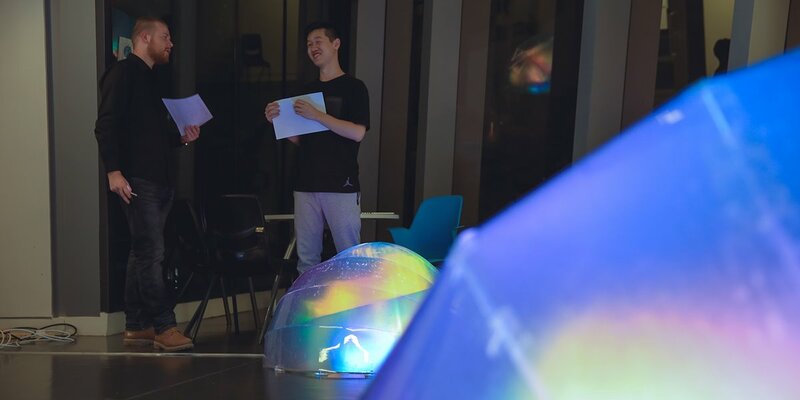 Inno Bubbles is an interactive installation located in the atrium space of the building which reveals innovation presence inside the building visually through people’s activities. 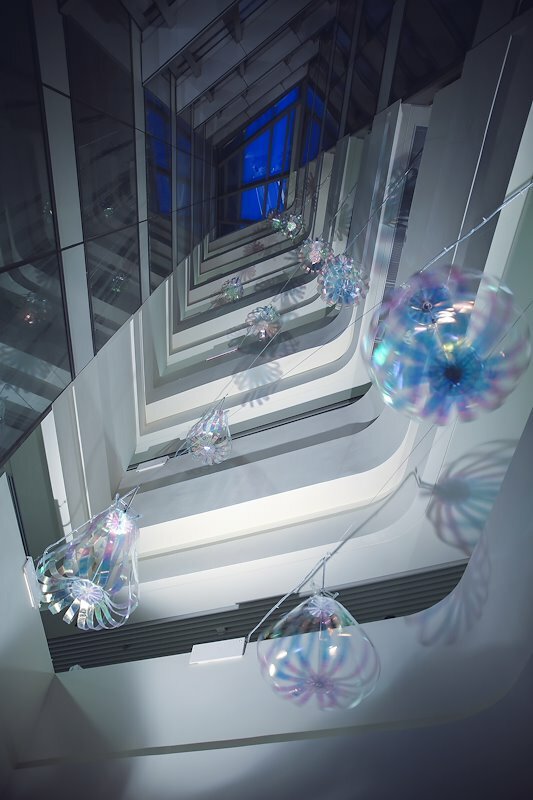 The installation is consisted of two main parts: Inno Bubbles hanging on different floors in the air of the atrium and three interactive Brains in the public meeting space at the bottom of the atrium. 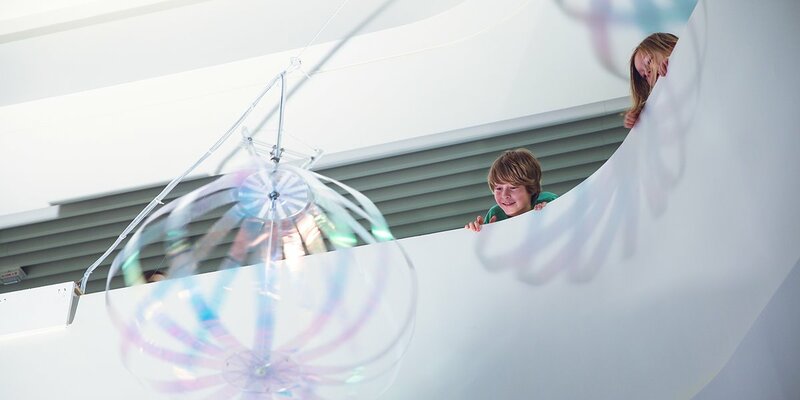 People’s voice and movement representing innovation is detected at different areas of the building which triggers the spinning of the Inno Bubbles and also the glowing of the interactive Brains. 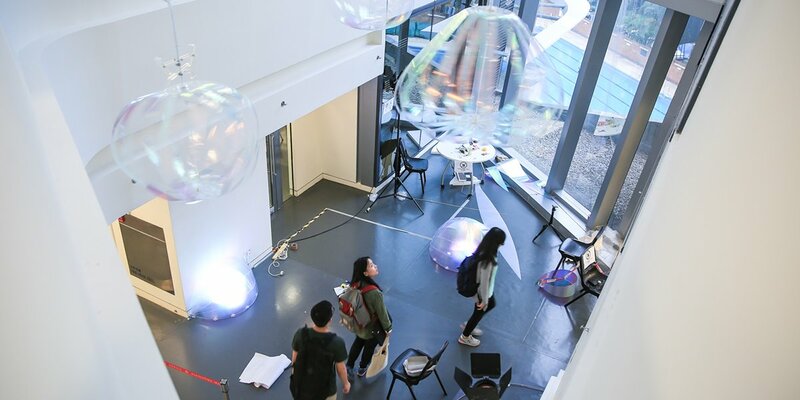 Type 1: Innovation in Studios – students' activity drives the spinning of the Inno Bubbles on that floor. 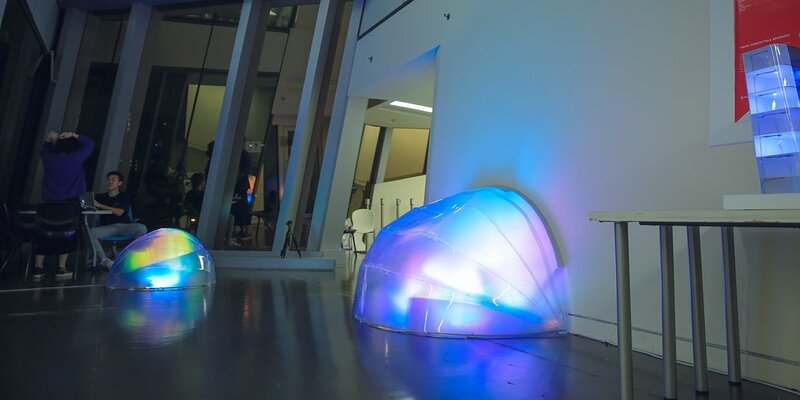 Type 2: Movement at Atrium – people’s movement activates the Brains to lit up. 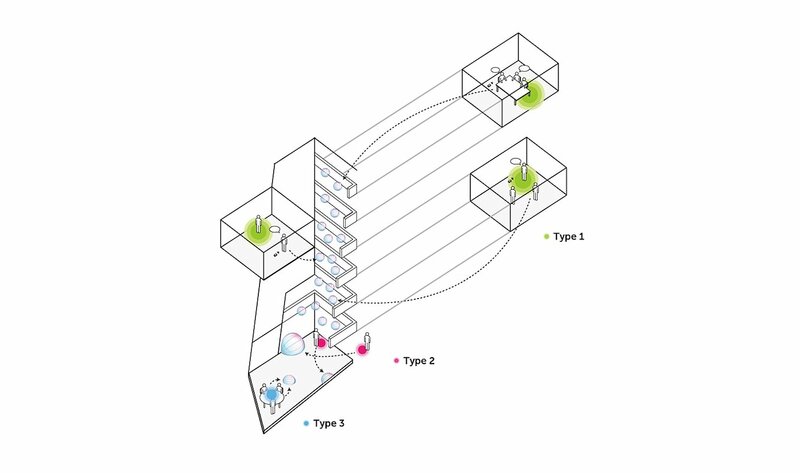 Type 3: Innovation in Public Meeting Space – people’s sound controls the brightness of the Brains. 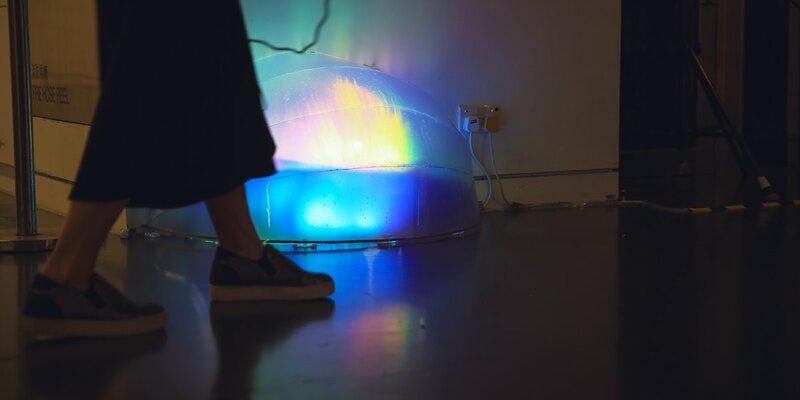 The goal of this project is to bring awareness to what is not normally perceptible. 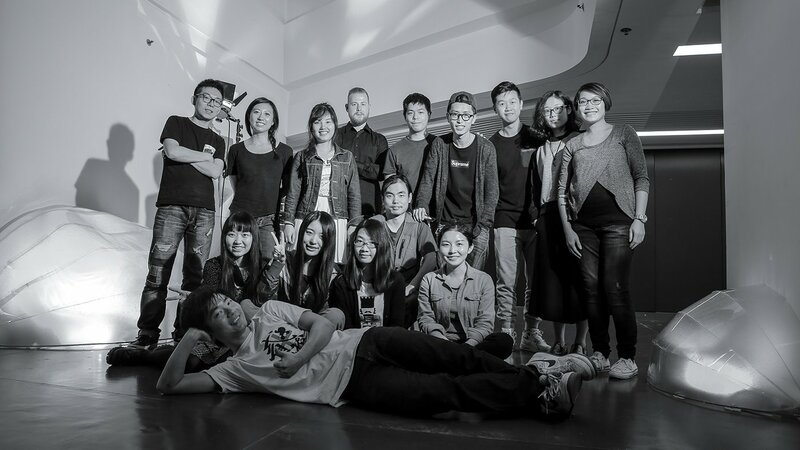 It seeks to let visitors know the ideas that are being shared in the PolyU School of Design and to encourage everyone in this building to sit down to think, to communicate, to share ideas with each other which helps build the innovative and inspiring environment inside the building together. Diagram Illustration of the Three Types of Interactions.